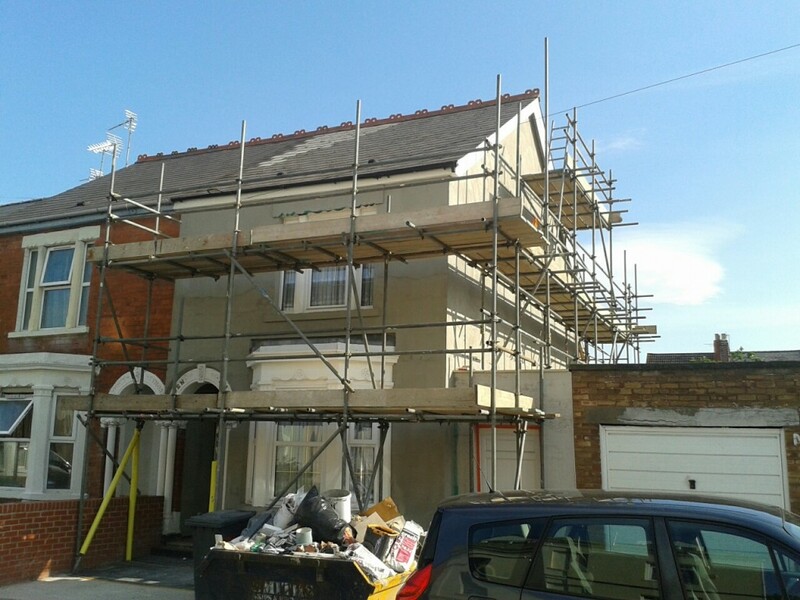 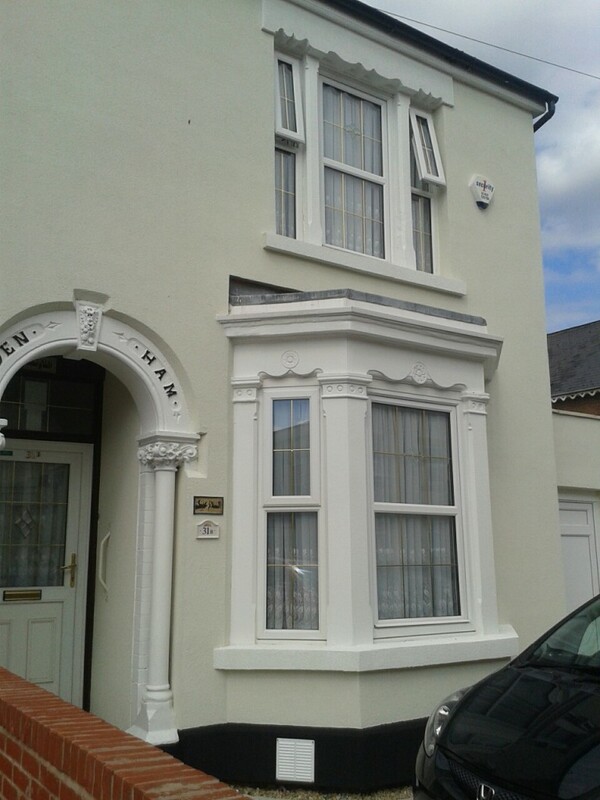 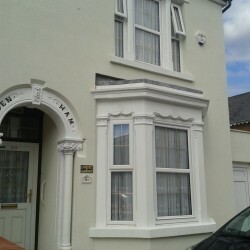 Mrs. Khowaldia from Gloucester contacted us about installing external wall insulation on her semi detached Victorian property in central Gloucester. 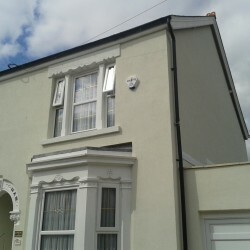 Bence Eco attended site and conducted a full survey on her property. 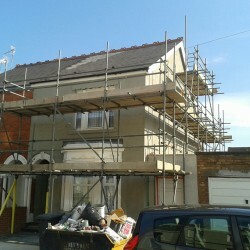 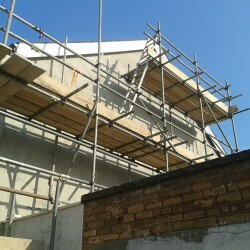 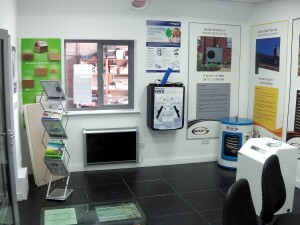 Bence Eco are fully approved installers for External Wall Insulation under the Government`s Green Deal Scheme. 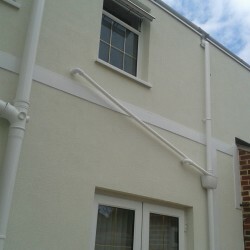 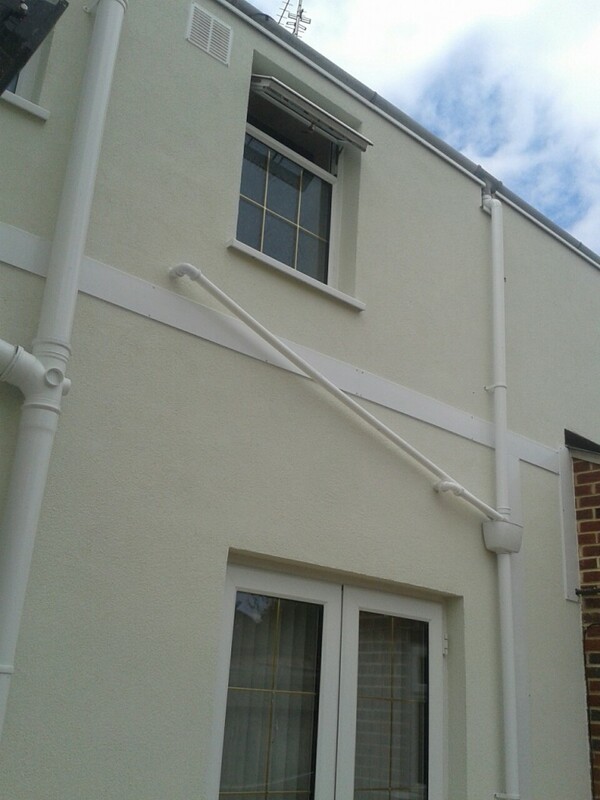 The survey showed she was experiencing condensation and mould on cold facing exterior walls and after evaluating the size of project and detailed work required we offered Mrs K a quote based on 120m2 of wall area plus removal and re-instatement of all downpipes, soil pipes and new window boards throughout the property. 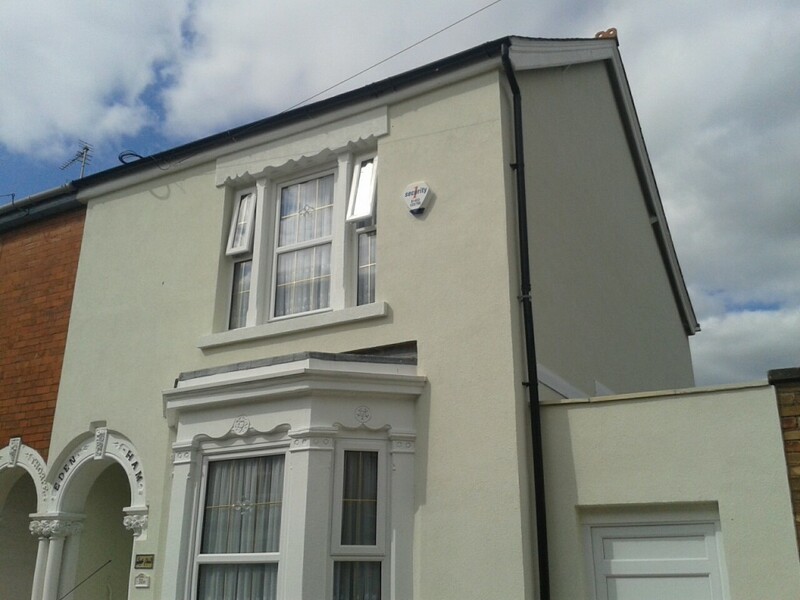 Careful consideration was needed with the Victorian period features at the front of the property – we retained the stone mullion bay area and were careful to cut around the arch motif at the front and canopy over the bedroom window. 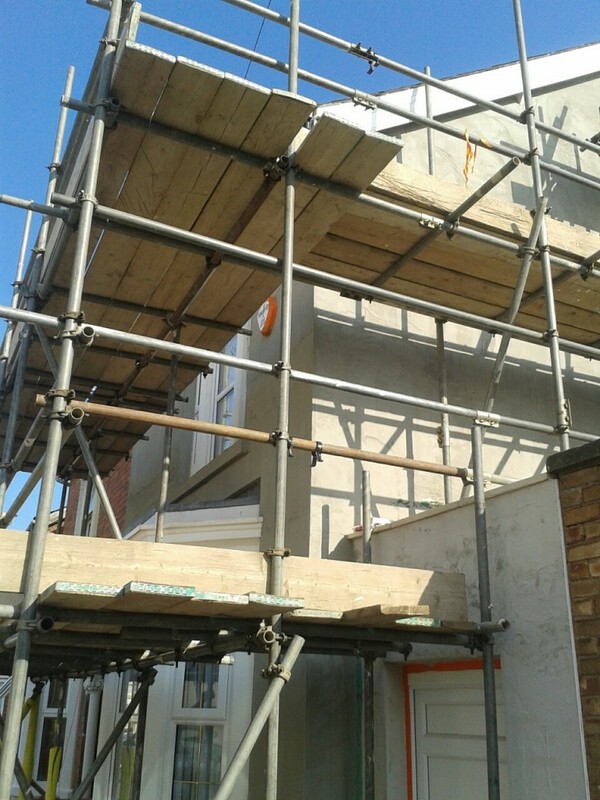 Under the Government`s Green Deal Home Improvement Fund we were able to assist the customer with obtaining £3750.00 in cashback towards her project. 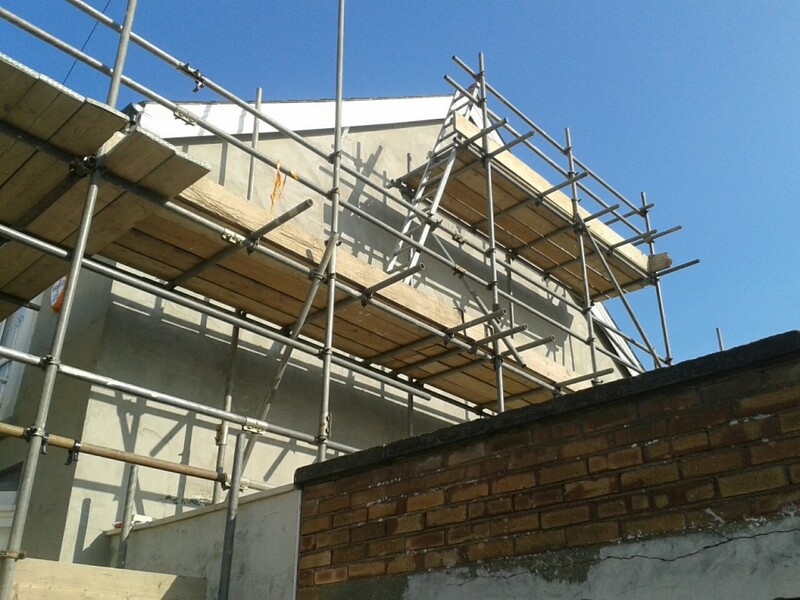 We used an insulating board to obtain a .3 U value so the house is a lot warmer and should now have insulated, warmer walls throughout so avoiding the pockets of cold wall area that were causing the initial problems. 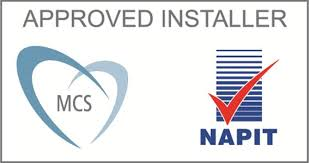 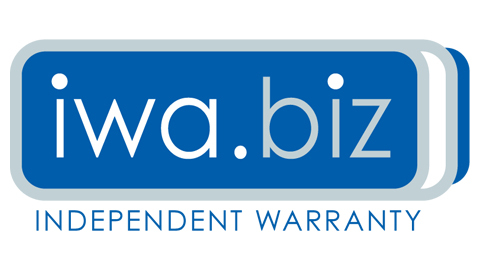 It is estimated that if the customer is careful with her heating controls – she will not have to have the heating on as high or for as long she will save approximately £200.00 per year. 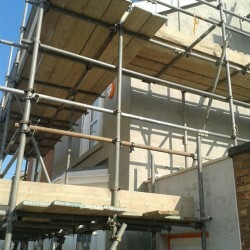 Please go to our External Wall Insulation page for more information on our products and service, or contact us to discus your project.